The suspect was believed to be residing in a travel trailer on the property and believed to be in possession of firearms. Through investigation, officers determined that the man was likely in the trailer. The North District RCMP’s Emergency Response Team was called into assist. An adult female in the trailer surrendered to police. At approximately 1:30 PM, the adult male suspect also surrendered without incident. The male had a knife on his person at the time of the arrest. He was transported to the Detachment where he was held in custody overnight. The travel trailer and an ATV on the property were confirmed to be stolen. 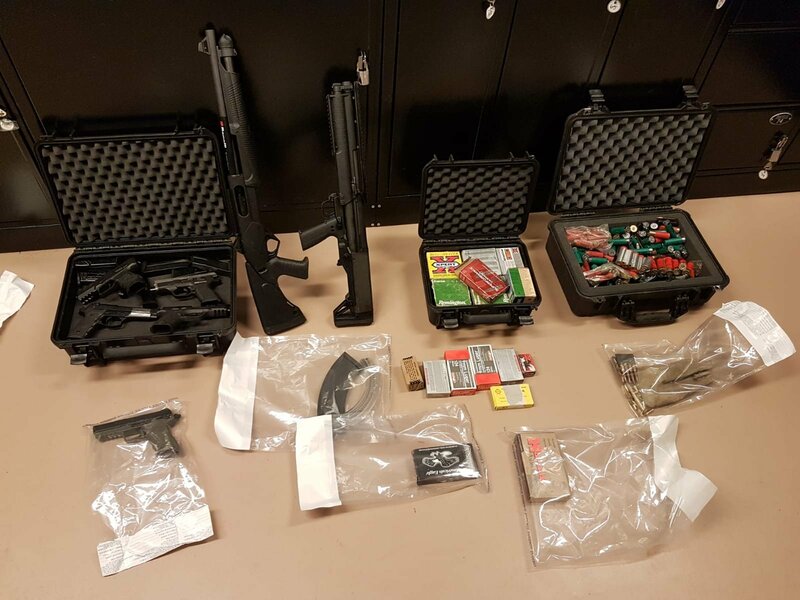 Further efforts are underway to determine the rightful owners of the remaining firearms and other items located on the property. The 30 year-old Prince George man has been held in custody on the outstanding warrant. The 21 year-old female from Prince George has been released on a Promise to Appear for court on February 13, 2019. The investigation is in the beginning stages and will continue. In the last few months at least five residences have been targeted to steal firearms. In addition, there have been five reports of firearms being stolen from unoccupied vehicles in our community. The Prince George RCMP want to remind firearm owners to take the necessary precautions to ensure your firearms are secured and to never leave firearms in vehicles.